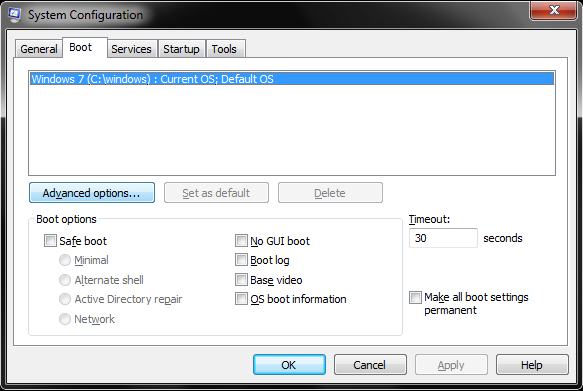 The Daily Clog » Tech Tip of the Week: boot up faster! 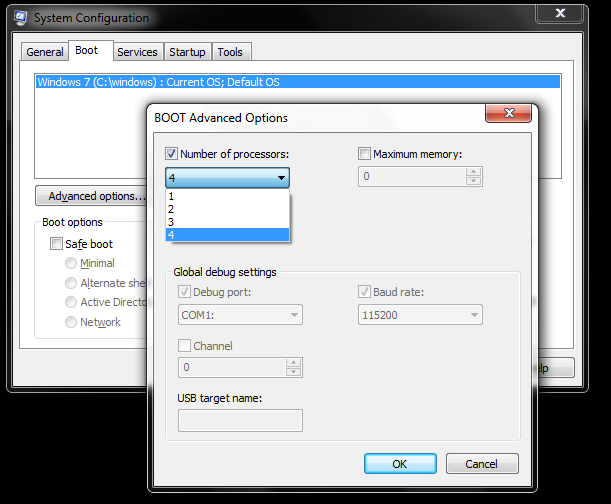 Tech Tip of the Week: boot up faster! Allo, allo fellow Bears! How is summer treating you? Tanning lots? No? Staying inside all day just staring at the computer screen? We knew it! Go outside and get some fresh air. But if you insist on staying inside, here are some tips on getting that ol’ laptop a little more speedy when you turn it on. Now, most students have computers with Windows 7/Vista and a CPU with two cores or more. Mac users, bear with us; we’ll get to you soon. Anywho, the CPU of a computer is like its brain; it controls many of its functions and processes. Roughly speaking, the more cores the CPU utilizes, the better it can handle tasks you set it to do. The actual explanation is quite a bit more complicated, but summer is upon us; let’s make this guide as painless as possible. Now, we want your computer to use all its potential cores to help it boot up faster! How so? Let the Clog show you with this nifty picture guide! This requires some tinkering around, so proceed with caution! Follow all the steps carefully. Go to the Windows Start button and type “msconfig” into the search bar and press Enter. Something should pop up! Click the Boot tab to get on the same page as us. Then, click Advanced Options towards the left. Another pop up reveals itself! Depending on your computer, you will have a different number of cores accessible to you, but just choose the highest number. In this case, four. Now you’re done! That was easy, right? Now, don’t expect this to make your computer lightning fast. This can shave off anywhere from a few seconds to a few minutes off your boot up time, depending on the condition of your computer. If your computer is cluttered with files and not well-maintained, this won’t do much. Here’s another nifty guide to tinker around with your computer! But seriously, once you’re done, get out and have at the summer sun!